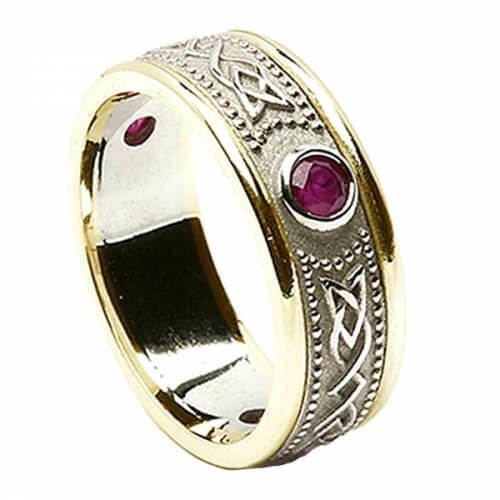 The yellow and white of this two tone ring is beautifully offset with the deep red rubies, set in to the white gold band. The band is filled with intricate Celtic designs that were found on the ancient Ardagh Chalice. Handcrafted with care in Ireland and hallmarked by the Dublin Assay Office in Dublin Castle.